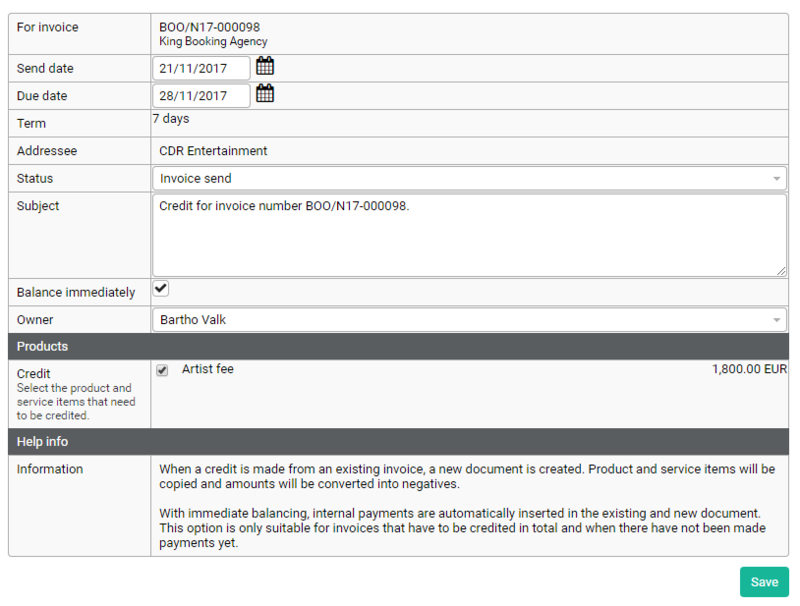 To create a credit note, navigate to detail page of the invoice you want to create the credit note for. Here you select Create credit from the Options menu. 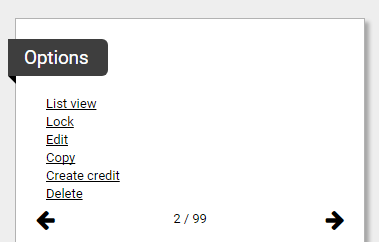 A new page will open where you will find several settings for the credit note. When your are done, select Save. 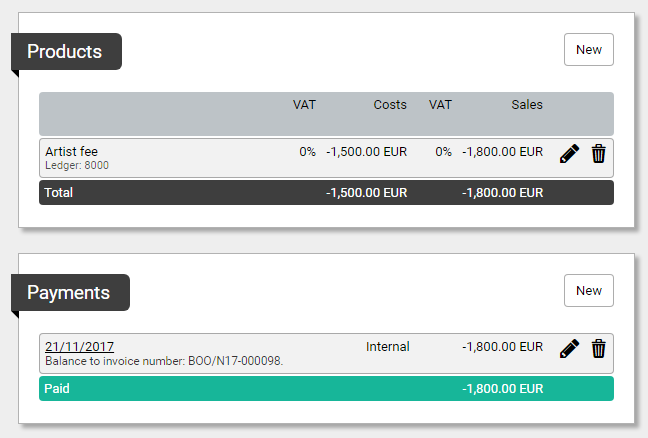 This will create a new invoice with a negative amount, balancing the original invoice. When you have selected Balance immediately in the previous screen there are also 2 internal payments booked. One payment on the original invoice and one payment on the credit note. When you view the 2 invoices in the list view. it should look as the image below.